Committed to a better tomorrow. 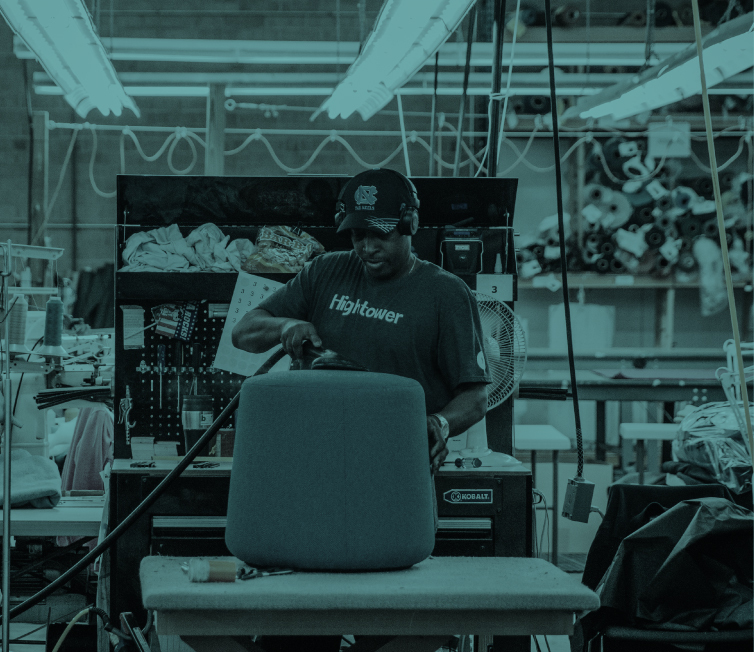 We’re about people: our manufacturing community who design, build, upholster, paint, and deliver our products, as well as our clients who use our products. Valuing people translates to creating products with the utmost care and respect for today's and tomorrow's generations. Because of this we are committed to material health and transparency. Why? We care not only for people but the places they live and work, creating healthier spaces for all. 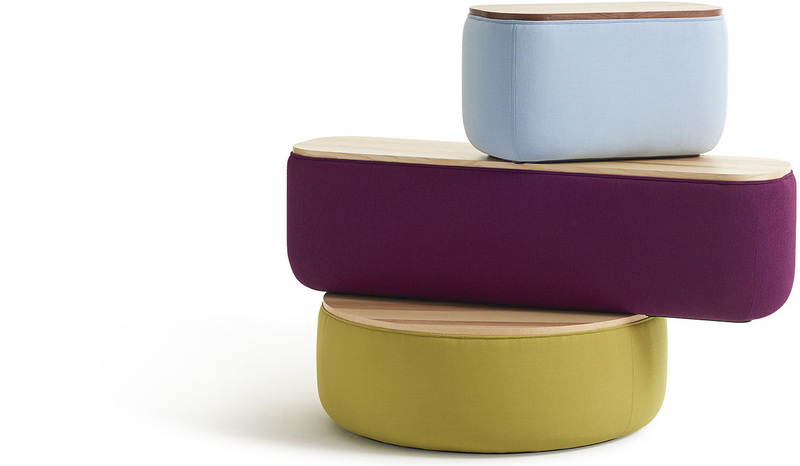 "We are excited to support the growing movement to close the loop between manufacturers and the A&D community, communicating the importance of specifying healthy furniture." Michaela is spearheading our efforts to understand and optimize our supply chain, and setting big goals in material health, transparency, and holistic sustainability. With a background in environmental sustainability and business, her career has focused on green building and product certification, as well as, material ingredient reporting. 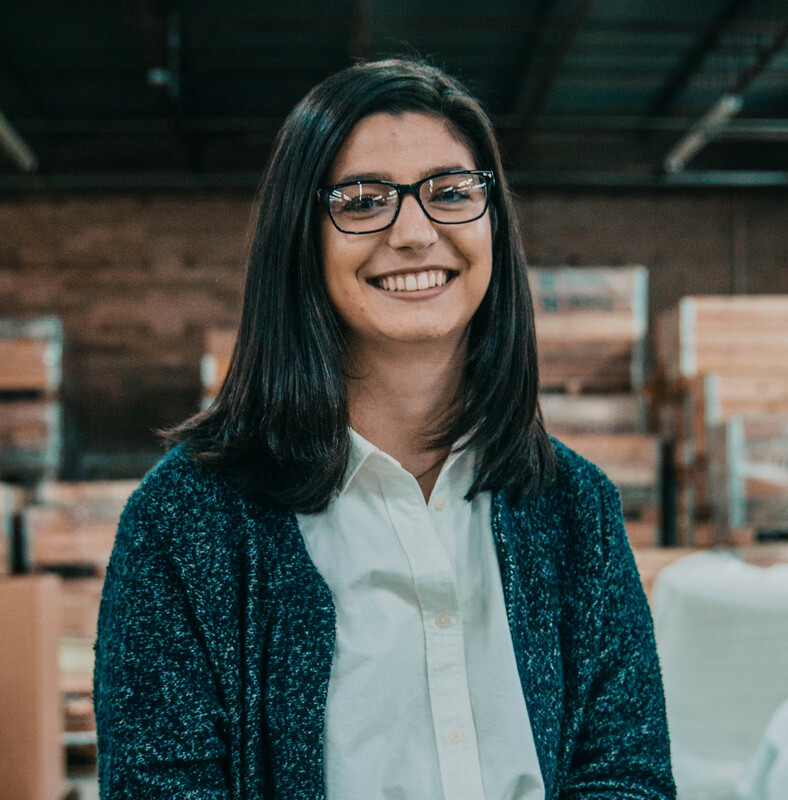 Since joining Hightower, Michaela has conducted a full supply chain analysis to identify harmful materials and remove them from our products; thereby allowing our clients to meet their sustainability goals and comply with green building standards like LEED and WELL. Michaela is here to guide you through the complex landscape of today’s sustainability industry. High Point, North Carolina makes some of the best furniture in the world. We're fortunate to have our manufacturing facilities and 40% of our supplier base in this region. The close proximity provides a strong connection to our supply chain as well as the local economy, plus it lightens our transportation footprint. mindful MATERIALS aggregates product sustainability data, making it easier for project teams to find and specify products in order to build healthier spaces. To access Hightower’s and other products on Mindful Materials, start by creating a free account. The Living Product 50 was created by the International Living Future Institute as a means to unify sustainability leaders in the building products industry. Hightower is proud to be a member and support the vision of a better future for all with our peers. SCS is an international leader in third-party certification and standards development in environmental, sustainability, and food safety and quality performance claims. Through auditing, certification, testing, life cycle assessment, training, and strategic consulting services, they are helping organizations affirm and communicate their sustainability success stories.